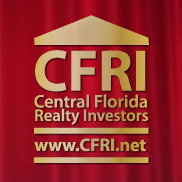 This is the heart of Central Florida! All of Central Florida's major arteries converge in Downtown Orlando. Interstate 4, the 408 Expressway, and Highway 50 take Floridian’s everywhere they want to be. Florida’s top beach destinations, the Tampa-St. Pete area, the nation's best theme parks, world renowned shopping complexes, and an endless supply of restaurants are just a hop and a skip away. Just a quick jump across lake Ivanhoe takes you to a quaint offshoot of Downtown Orlando…College Park. Here you can find some magnificent lakefront homes, great restaurants and antique row. The real estate market in downtown Orlando complements all slices of life. An array of refurbished historical homes and brand new residences line the winding, tree covered streets of Lake Eola and the extremely popular Thornton Park district. Sky rises amass along Orange Avenue and a variety of business are sprawled out under the city's moss covered trees. The ever-growing real estate market in the “City Beautiful” will satisfy the single family and the enterprising investor alike. Recently renovated, downtown Orlando boasts incredible hotels and condos as well as a sizzling nightlife. The downtown area has excellent public transportation and hosts a deluge of cultural and entertainment events. With its museums and shops, Downtown Orlando is truly the center of Florida’s universe! 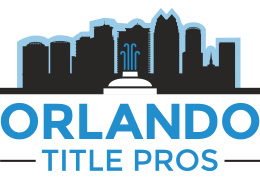 Purchasing real estate in Downtown Orlando is more than a sound investment. It's a gateway into a thrilling and fulfilling lifestyle. You'll be minutes from the nations top theme parks and shopping districts, and under an hour away from Tampa, the Gulf shores, and world-famous Daytona Beach. The Downtown Orlando lifestyle is unparalleled around the world.